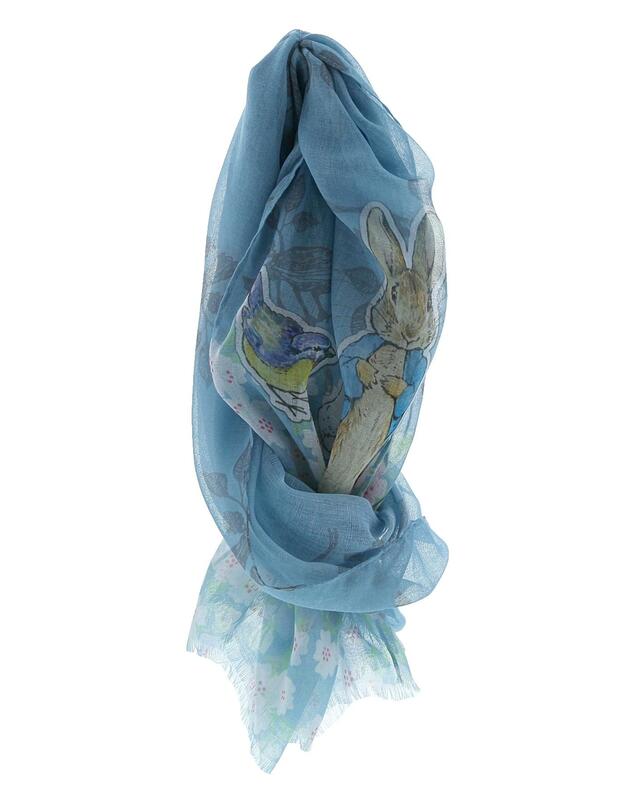 This beautifully made Peter Rabbit scarf would make a wonderful addition to any outfit. Why not team it up with our Peter Rabbit umbrella and coordinating tote bag to create a matching set. Please see our full range for details. Original illustrations from the Beatrix Potter stories have been used to create this elegant scarf. Enesco have been producing The World of Beatrix Potter products since being granted a licence in 1987, since then the collection has grown to include many different formats. H. 180 x W. 50 x D. 1cm.